November 30, 2018 - Like us now! 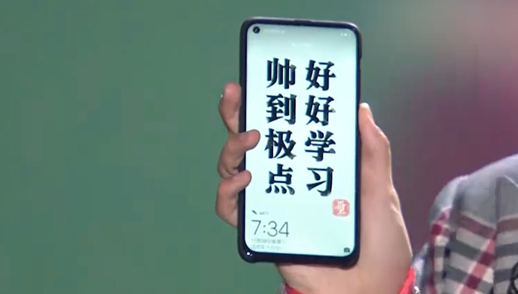 It seems that Huawei’s Nova 4 will be the first phone to ship with a screen hole display. The design from the front is quite similar to Samsung’s Infinity O display which was revealed earlier this month. While the Samsung A8s featuring the Infinity O display is supposed to launch by the end of this year, Huawei might just beat them to the new screen design. To make things even more interesting, the phone was seen on stage in an event which can be watched here.